The overall length of the Fabric from end to end is 4475mm and 2200mm width, you can measure up and over the boat and across to determine if the cover will fit your boat, this is recommended if you have any extra fittings such as seats, etc that are higher than the side of the boat. What is the Difference between Universal Fit and Styled to Fit or Semu Custom Fit? Universal Fit Boat Covers are designed for use when a Styled to Fit or Semi Custom Fit Boat Cover is not available for your Boat. They are an excellent choice for Outdoor Storage Conditions, but they are only designed for Light to Moderate Trailering, ie short distances. What is the Difference between the ready made fabrics and the made to order boat Covers Fabrics? All ready made Boat Covers are manufactured using marine grade fabrics but they are not branded and we do not know the textile mill producing them. They have performed well over the past few years we have been selling and have not had any UV issues with the material. Polyguard is a solution Dyed Polyster fabric, whereas Sunbrella is a Solution Dyed Acrylic Fabric. Polyguard is suitable for use whilst towing your boat, it has excellent tear strength. excellent fade resistance is highly water repellent and it wont stretch or shrink. The Polyguard Boat Cover has a 2 Year Guarantee, please see the Guarantee information beforder ordering this cover. Sunbrella® is the Finest quality Marine Grade Fabric available for Boat Covers, it is designed to last and if you are going to keep your boat for very many years then this is the best cover to buy as it will provide you with many years of usage in even the most extreme weather conditions. Sunbrella Covers have a 5 year guarantee and are available in 20 stock colours but even more colour choices can be selected if you require a specific Sunbrella fabric colour, contact us for special colours. Sunbrella has the most superior UV strength and will last more than 5 years exposed to the UV. Check the Sunbrella Guarantee details before ordering this cover. Will the cover go over my Outboard Motor? No, you will need to purchase a seperate outboard motor cover for your boat, Outboard Motor Covers are also available in this range. I have a Bimini Top can I still use my Boat cover? Yes : The Bimini must be folded flat on the boat and the cover can go over the top of it. How do I care for my Boat Cover? To keep your boat cover looking great much longer make sure to support your cover using the Boat Cover support poles. Supporting your cover properly will prevent water from pooling on the cover. When trailering or storing yor boat with the cover on it use the Tie Down Kit to prevent damage to the cover. Never wash the boat cover in a machine, you can use a soft bristle brush for cleaning, allow the cover to dry completly before folding and storing it. We offer specialist cleaning products for boat covers which we reccomend using for the best quality cleanign and care results. Never use any chemicals or cleaning solutions on your Boat Covers, this will void your warranty and can significantly reduce the lifespan of the fabric. What happens if I order the wrong Universal Fit Boat Cover? We reccomend that before ordering you also check the Overall Measured Length of your Boat up and over the centreline and also across the middle of the boat. The overall Fabric dimensions are provided and should be checked first. See our terms for incorrect ordering. 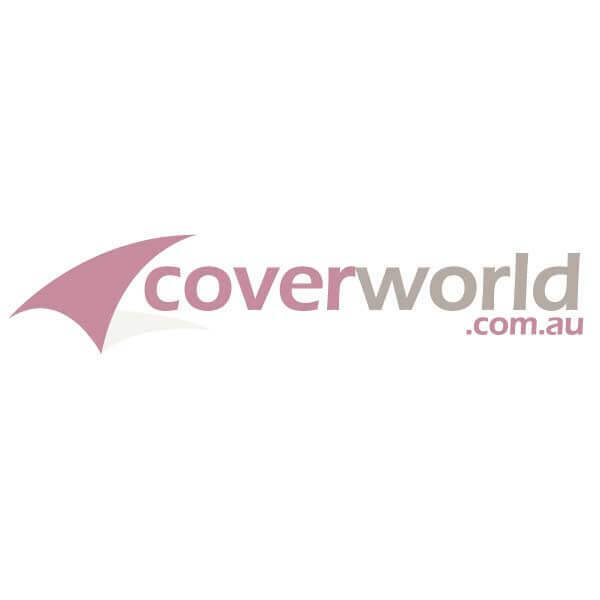 Please contact us if you need help selecting the correct cover for your boat. Please put this part number |BOAT-UNIVERSAL-S| in the Part Number box below.